The Bible tells us that it is impossible to please God without faith. What does pleasing faith look like? In this passage, Jesus, Peter, James, and John are descending a mountain after the transfiguration of Jesus. When they get to the bottom of the mountain, chaos erupts. Scribes are arguing with the other disciples about their inability to cast a demonic spirit out of a boy. The desperate father of the young boy cries out to Jesus for help and Jesus helps him. 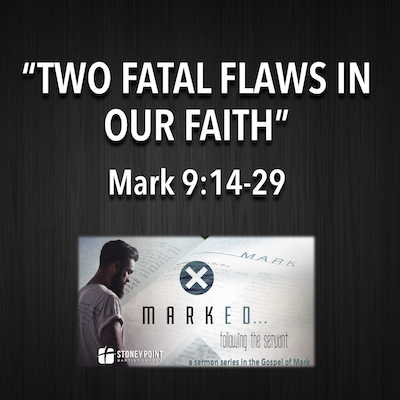 What we uncover in this story is two fatal flaws in the disciples faith.